Our stainless steel ducting is available as either flat or chequer plate in thickness up to 12mm. Stainless steel is particularly great for use in applications where the ducting may be more prone to corrosion. 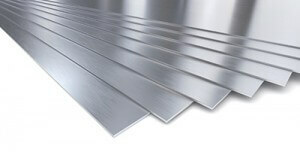 Stainless steel is known for its corrosion resistant properties. Whether you go with our flat or chequer plate stainless steel ducting, you can expect the highest quality product. With a range of thickeness available, you are sure to find the right solution for you. Whether you require standard ducting for every day environments, or something more robust and industrial, we will have the trunking systems for you. Our stainless steel ducting utilizes removeable flush floor coverings to provide service access to the duct. We use patented flange fittings and range of other components to leave you with a strong, stable system. If you require more information about our ducting or to find out what flexible, bespoke trunking solution we can offer you, please do not hesitate to contact us.